(Lawrenceville, GA) Matt Joyce was on base five times for a second straight day, but the Bulls had difficulty getting runs home on Monday, falling 7-2 to Gwinnett to start a 10-game road trip. Durham had runners in scoring position in every inning but the seventh, but left 17 on base, going 3-for-18 with runners in scoring position. 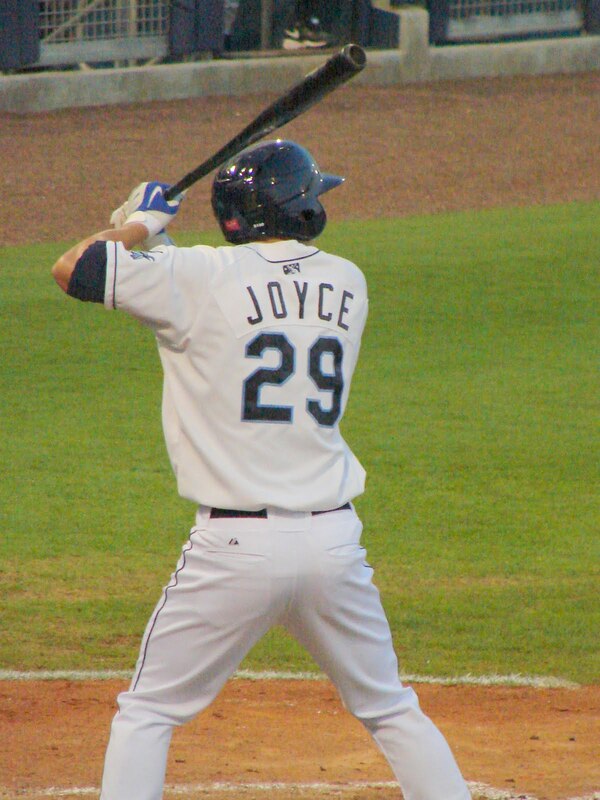 Joyce, who was 5-for-5 with three doubles on Sunday, went 3-for-3 with two walks on Monday. 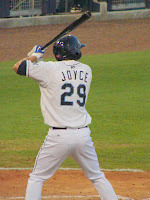 Joyce was in the middle of the Bulls lone scoring rally in the third against Jair Jurrjens, who was down on major league rehab. Desmond Jennings doubled to left, and moved to third on Joyce's single to left. Dan Johnson's base hit to center scored the game's first run, and a bases-loaded walk to Jose Lobaton a 2-0 lead in the third. That was all the Bulls would muster, despite collecting 13 hits and eight walks. Jeremy Hellickson, who allowed only two base runners in the first five innings, hit and walked the eight and nine hitters to start the sixth. Matt Young then singled to left, loading the bases with none out. Hellickson limited damage to just a run, but departed. Joe Bateman came on in the seventh and allowed a leadoff double to Mitch Jones. Jones moved to third on a passed ball, and scored the tying run on Joe Thurston's single to center. Dale Thayer (0-1) entered in the eighth, and had his toughest outing of the year. Thayer allowed the first six batters to reach, as Gwinnett scored five times to break a 2-2 tie. Thurston's two-run ground double past first was the tie-breaking hit. Durham (39-26) leads Gwinnett by 9.5 games in the South Division. The two teams face off Tuesday to wrap up a four-game home-and-home series. Durham needs a win to earn a split. Righty Tim Gustafson starts against Lefty Heath Phillips. Coverage on 620 the Buzz begins at 6:50, with first pitch at 7:05.